Designed for F5J competition gliders. 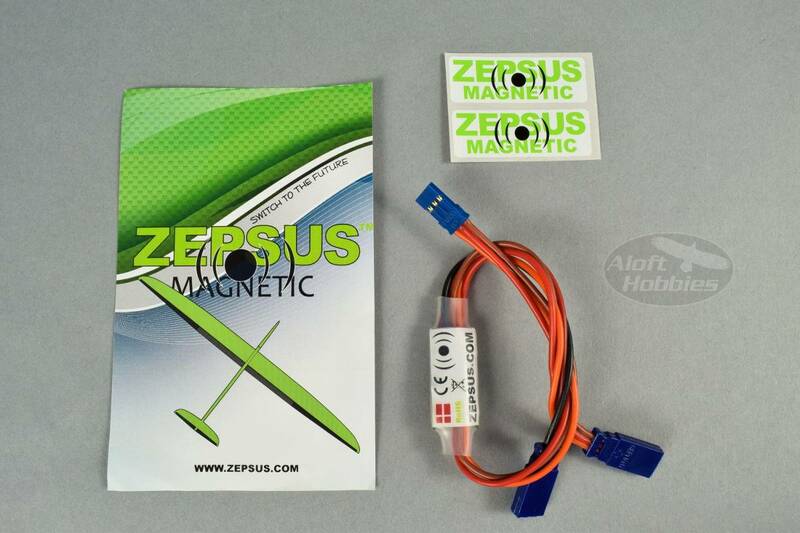 This is a very small power switch designed for F5J competition gliders. Small, very strong and super reliable, due to it's redundant functionality. The switch automatically chooses the battery with the highest voltage. The output power from the Zepsus will not be interrupted even in the event that one battery short circuits. When both batteries are the same voltage the Zepsus draws from both, simultaneously. A Dual Battery system provides redundancy, which promotes a sense of security. As with all Zepsus switches, you can switch your RC model on or off without the need to access it internally. Just move the magnet over the outside of the model near the switch and it will turn on or off. The switch has an ultra low power consumption rate in the off-state. The consumption is so low that the switch can be connected to a 1000mAh battery for several years without discharging it. The switch has a built-in failsafe function. It remembers its failsafe state for at least 10 sec when disconnected from the supply battery. It will protect the glider against power glitches caused by intermittent battery connections or other momentary electrical disruptions. All switches have been tested at 20A for 30 sec before delivery. Standby consumption is adjusted and a visual inspection is made.